Welcome to the 681st Edition of my series. 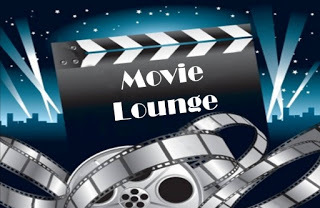 This week I start including holiday films and not all of my selections will be holiday films. I have heard discussions from some saying there are holiday films and films that take place on the holidays. As far as I'm concerned they are all holiday films. I finally signed myself up for Hulu when I saw a deal that has Hulu has .99 a month for 12 months and made one selection this week. It was also very upsetting that Filmstruck shut their services down. There is not much else going on so I'll get on with my selections. 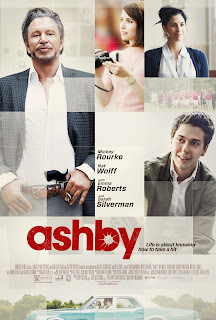 Ashby (2015): I start the week out with this crime comedy, maybe even buddy comedy which was suggested by my friend Stephanie which she insisted on watching while I was over. I had not heard of this movie and I admit she got my attention when saying Mickey Rourke. Tony McNamara directed this film which stars Nat Wolff as Ed Wallis who is the new kid in town having trouble fitting in and forms an unlikely friendship with his neighbor Ashby, played by Rourke, when having an assignment to do a paper on an older person. Ashby is a retired CIA assassin who is terminally ill trying to make peace with God and starting to question an assignment he did leading to vengeance of former bosses. Emma Roberts, Sarah Silverman, Kevin Dunn, Zachary Knighton, Michael Lerner, John Enos III, and many others co-star in this film. This could also be described as a coming of age comedy and an approaching death comedy/drama. Rourke has a more comedic role than usual and does well as the retired assassin questioning the morality of what he has done personally and professionally. Rourke and Wolff work well together to make this movie work. This is available to watch on Amazon Prime and is worth a look. 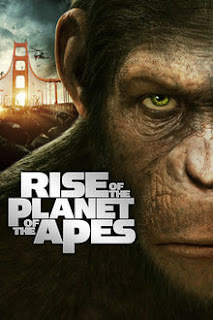 Rise of the Planet of the Apes (2011): Rupert Wyatt directed this latest reboot of the franchise and is the start of a great reboot after much mixed opinions of Tim Burton's remake in 2001. As the title indicates, this focuses on their rise. James Franco stars in this film as Will Rodman who creates a drug which gives apes more human-like intelligence. He soon raises an ape named Caesar, played by Andy Serkis, like a child along with his girlfriend Caroline, played by Freida Pinto. After eight years, Caesar is taken from his human family and put in a sanctuary among other apes who are being abused by the unscrupulous employees. He soon leads a revolt where he is able to get the fellow apes the drug he has been exposed to leading into a violent fight of man against apes. John Lithgow, Brian Cox, Tom Felton, David Oyelowo, Tyler Labine, Jamie Harris, Karin Konoval, Terry Notary, Richard Ridings, Christopher Gordon, Devyn Dalton, Jay Caputo, and many others co-star in this film. In the 1968 film PLANET OF THE APES as well as the rest of that particular series, the humans are portrayed more as the protagonists and the simians are more the villains with the exception of Cornelius and Zera and in this film it is more the other way around where you are really for these apes. This movie had some great special effects and some really good action scenes. It also makes some references from the original film. There is a mid-credit scene but I did not pick up on the significance so if someone can explain be my guest. A good double feature could be the original 1968 film to pick of on references on this one which is a great entry into the franchise. 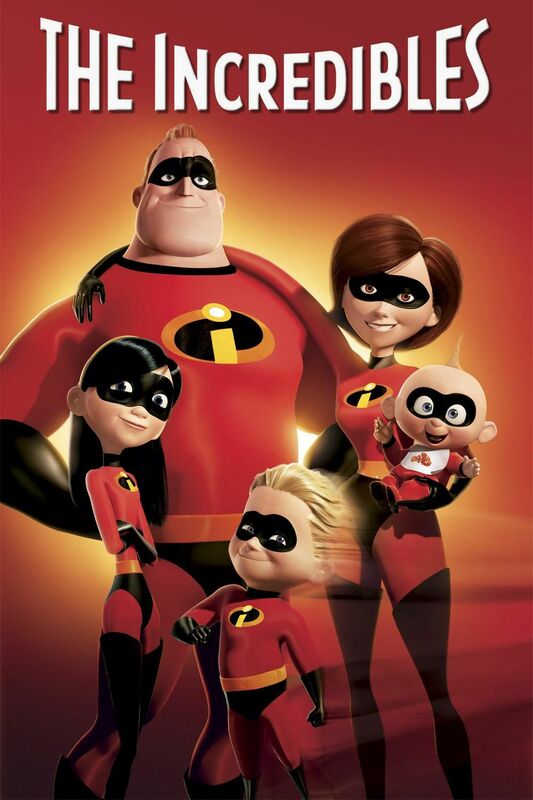 The Incredibles (2004): This is part two of my two-part Holly Hunter series. I brought some Pixar for the week which was directed and written by Brad Bird. This takes place in a world among superheroes where they cannot be superheroes any longer. Craig T. Nelson and Holly Hunter star as Bob and Helen Parr who met as superheroes Mr. 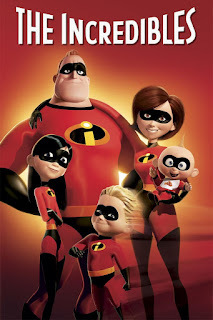 Incredible and Elastigirl but are now forced to live a suburban lifestyle and have children with their own superpowers in Violet, voiced by Sarah Vowell, Dash, voiced by Spencer Fox, and newborn Jack-Jack, voiced by Eli Fucile and Maeve Andrews. Circumstances force them into action and are joined by Violet and Dash on their first adventure when the villain Syndrome is seeking vengeance on Mr. Incredible from something in the past. Samuel L. Jackson, Dominique Louis, Wallace Shawn, Lou Romano, Elizabeth Pena, Bud Luckey, Jean Sincere, Kimberly Adair, John Ratzenberger, and many others lend their voices to this film. This is a very clever superhero film taking where superheroes could not live the lives they wanted and had to adjust to suburban life. They recently had a sequel that took awhile but was worth the wait. 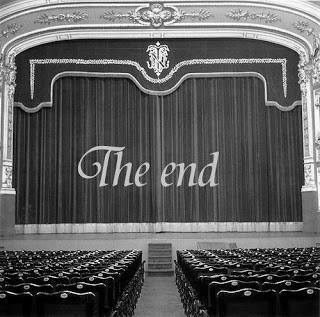 I will let know there is no mid or end credit scenes. 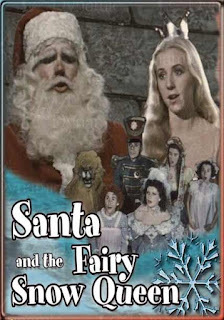 Santa and the Fairy Snow Queen (1951): This is my short film that is the start of some holiday selections. One of Santa's "brownies", which is another word for elves and no I don't have any explanation on the reason for the change of word, Snoopy introduces the story of the fairy snow queen who brings toys to life only to have Santa tell her they must become inanimate objects again. Keep in mind, this was included as the short film in a RIFFTRAX episode that included SANTA CLAUS CONQUERS THE MARTIANS. This is just really weird to say the least but might make you laugh with all the bad acting and dialogue and the extremely annoying Snoopy which is not that beloved beagle. 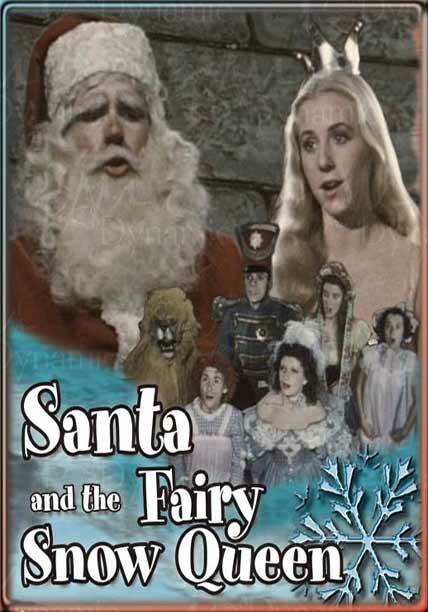 This is also available on Amazon Prime with "Classic Christmas Shorts". A Christmas Carol (1938): Edwin L. Martin directed this version of the classic Charles Dickens novel and is possibly the most beloved movie version. Reginald Owen stars as the miser Ebenezer Scrooge who does not like Christmas and considers it a humbug. 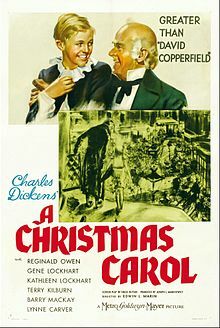 He is visited by the ghost of his former business partner Jacob Marley, played by Leo G. Carroll, who worse than he was and warns that he must change his ways. To help him, Scrooge will be visited by three ghosts to show his past, present, and future. Gene Lockhart, Kathleen Lockhart, Terry Kilburn, Barry MacKay, Lynne Carver, Lionel Braham, Ann Rutherford, D'Arcy Corrigan, Ronald Sinclair, and many others co-star in this film. Owen does a great transition when he begins to embrace Christmas. I guess I gave a spoiler but I think just about everyone knows this story. I have been in two versions of this story on stage but now hope to one day be able to play the role of Marley. Period of Adjustment (1962): George Roy Hill directed this film that is based on the play by Tennesse Williams and is a holiday film. This centers around two couples. One is George and Isabel Haverstick, played by Jim Hutton and Jane Fonda, who have just gotten married after barely knowing each other. The other is Ralph and Dorothea Bates, played by Anthony Franciosa and Lois Nettleton, who have just separated. George and Ralph are longtime friends from their days in the Korean war and George turns to Ralph when needing to stay. Both marriages are having trouble and all must examine how they are to move on in their lives. John McGiver, Jack Albertson, Mabel Albertson, and many others co-star in this film. 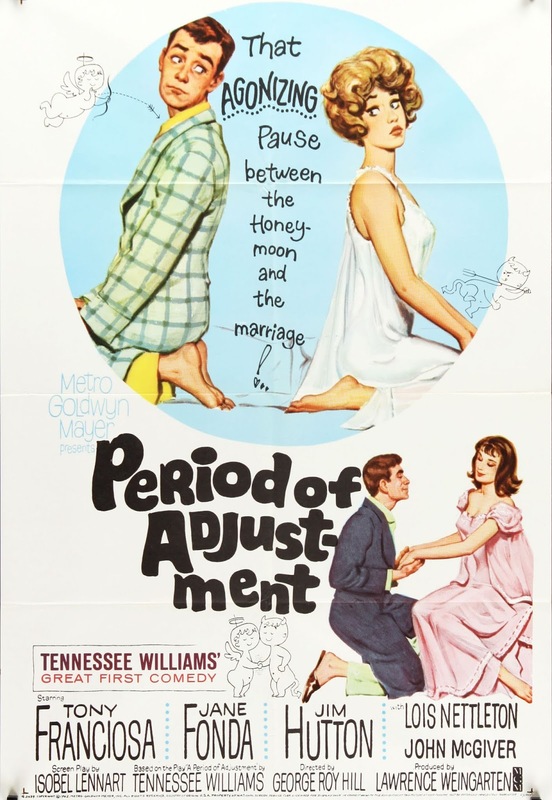 This is a rare romantic comedy turn for Tennessee Williiams and one where the characters managed to keep my attention through some pretty funny moments and a well written script. 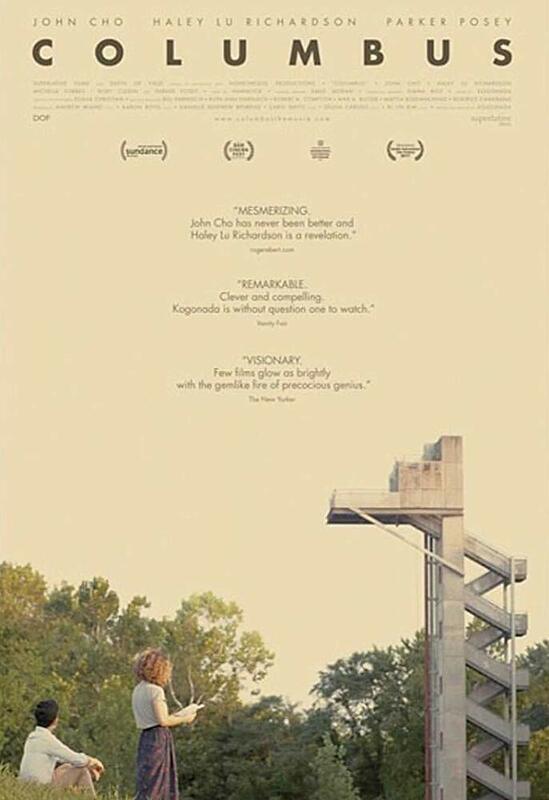 Columbus (2017): Kogonada wrote and directed this independent film. John Cho stars as Jin who is a Korean born man finding himself in Columbus, Indiana where his architect father is in a coma. He soon meets a local girl named Casey who is not far into adulthood and feels she needs to stay to be with her mother, a recovering addict. Parker Posey, Michelle Forbes, Rory Culkin, Erin Allegretti, Shani Salyers Styles, Reen Vogel, Roselyn R. Ross, Lindsey Shope, Caitlin Ewald, Jim Dougherty, and many others co-star in this film. This was filmed and takes place in my dad's town of Columbus, Indiana which has become like a second home to me. Him and my stepmom moved there from Anderson when I was about 18 or 19. I did not know if I would like the move at first with having to drive longer but I can see how much Dad embraces living there and I have made some friends there myself. Columbus is also the town where I first started ring announcing in wrestling. This is the feature directorial debut of Kogonada and is a very well done film driving by the characters. 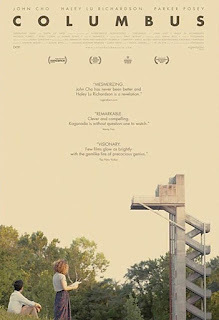 Columbus, Indiana is known for its architecture which is emphasized in this movie. My dad is a tour guide in Columbus and really enjoys doing the tours and learning about his town. He could probably give commentary on the architecture just watching this movie. I thank all involved who came to Columbus, Indiana to do this movie. 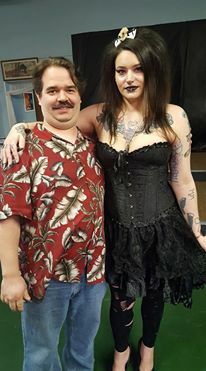 I just wish I could have been in it. This is available to watch on Hulu. 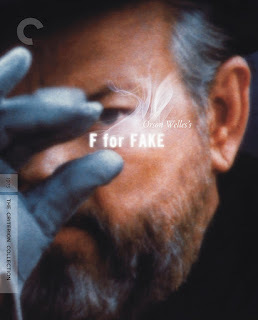 F For Fake (1973): This movie now has a place in history for being the last movie I watched on Filmstruck before they decided to shut down their services. This is my documentary for the week which was directed by Orson Welles. This documentary takes a look at fraud and fakery. One of the subjects is on art forger Elmyr de Hory and his own biographer Clifford Irving who also wrote a fraudulent autobiography on Howard Hughes. Welles also focuses on his own fakery like his infamous radio broadcast of WAR OF THE WORLDS. I don't really know how to describe this documentary, if that is even what we call it. This is an interesting look at the world of questionable value of authenticity. Welles weaves this together in a way that only he can and just at least expect to be entertained. 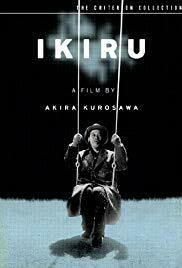 Ikiru (1952): This is my Japanese film for the week and was presented at the Carnegie branch of Muncie Public library for the monthly Cinemania series. Akira Kurosawa directed this film about a dying man trying to find meaning in life. Takashi Shimura stars as civil servant Kanji Watanabe who has been a very dedicated employee for many years and finds out he has terminal cancer. He feels he must live life to the fullest and do something meaningful in life before his death. In some ways this is inspirational in living life to the fullest but there is also some very interesting social commentary with the people around him and their reactions. Shimura is a very known actor in a lot of Kurasawa films and carries this film very well to bring us in through his journey. National Lampoon's Christmas Vacation (1989): Visiting Stephanie and Drew lead to this unexpected selection when Steph wanted to watch something and we agreed on this holiday comedy. Jeremiah Chechik directed this film which was directed by John Hughes. This is the third in the vacation series where Chevy Chase and Beverley D'Angelo reprise their roles of Clark and Ellen Griswold with their children being played by THE BIG BANG THEORY star Johnny Galecki and Juliette Lewis. This one, the vacation stays at home while the Griswolds decide to host Christmas and Clark has his usual bad luck being worsened by family guests like Cousin Eddie, played by Randy Quaid, who contributes the most to the dysfunctional family. Some of the best stuff in this comedy is Clark trying to get his Christmas lights going at his home and go beyond everyone else. John Randolph, Diane Ladd, E.G. Marshall, Doris Roberts, Miriam Flynn, William Hickey, Mae Questel, Sam McMurray, Julia Louis-Dreyfuss, Nicholas Guest, Brian-Doyle Murray, and many others co-star in this comedy. This is quite possibly the best Christmas comedy out there and good for those who don't like the Christmas sap which I admit this time of year I'm kind of a sucker for it. Spend Christmas the Griswold way. Well, that is it for this week. Tell me what you like and dislike and stay tuned for next week which so far includes John Leguizamo, Humphrey Bogart, and many others.